If you’ve got a habit of poking around at gun shows or shops and you ever chance upon an old hinged-framed, break-top revolver under the glass, take a moment to look at the grips. More likely than not, you will see a stylized owl staring back at you from the black plastic. If you do, it’s probably an Iver Johnson Safety Automatic, and if you have some spare change, it’s worth your time to ask to look at it. 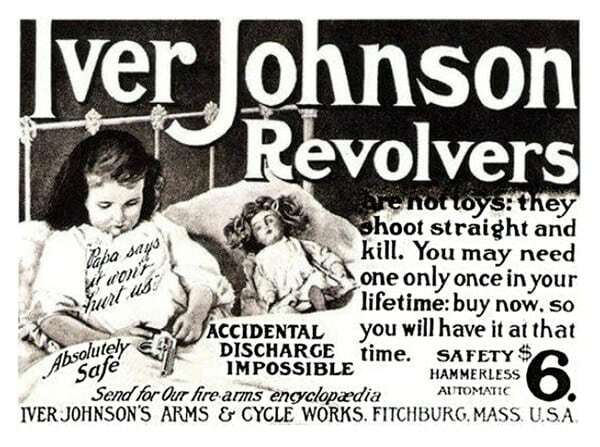 Iver Johnson revolvers ad, pre-1900. Fryberg Safety Auto transfer bar patent. shotguns with his sons. 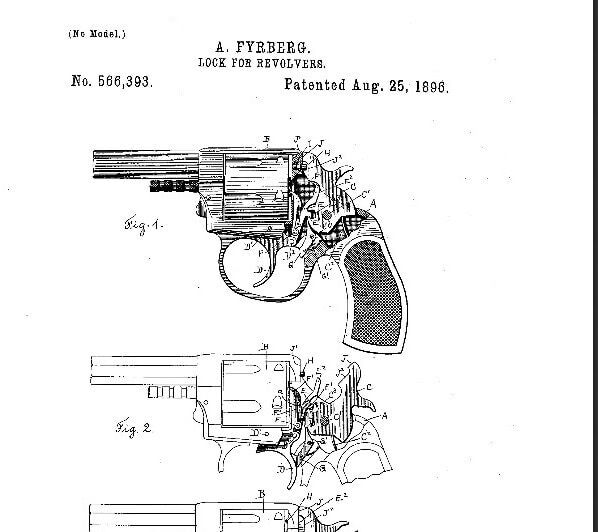 Just before Iver died in 1895, his company began to produce a new revolver that the late engineer had perfected late in life known as the Safety Automatic. 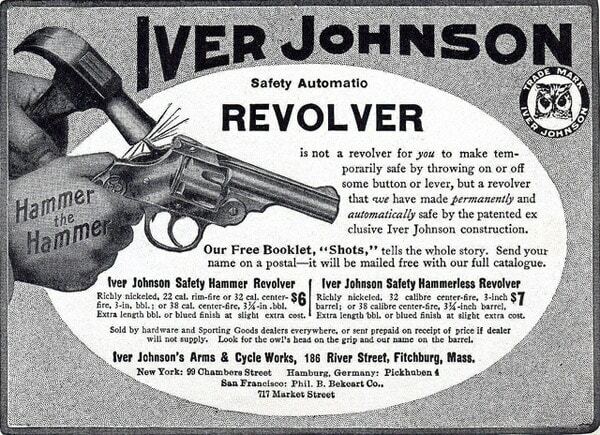 Now let’s clear the air real quick: the Iver Johnson Safety Automatic neither has a manual safety, nor is it automatic. It’s a revolver. 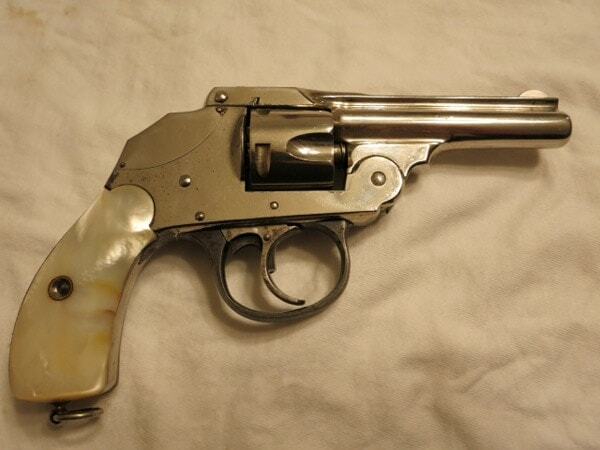 Its a double-action top break revolver similar in layout to the Smith and Wesson hinge frames of the 1860s era. What made the Iver different from the Smiths was in the fact that it had an internal transfer bar safety. This safety consisted of a bar that rested between the hammer and the rear of the cartridge in the cylinder/chamber. The bar prevented the gun from discharging if dropped and moved into place to fire only when the trigger was depressed all the way. Iver Johnson Safety Automatic, First Generation. then you risked an accidental discharge from a dropped revolver if the gun was carried with a hammer down on a loaded cylinder, which as you may imagine, was a real concern at the time. These guns were sold in both a small frame version with a three to six inch barrel in 22LR (7-shot) or 32S&W (5-shot), and a large frame 38S&W version that came in barrel lengths as short as 2-inches. With so many options you could buy a small concealable revolver for discreet carry or hiding in a cash drawer, or a larger piece for home defence. When introduced Safety Automatics retailed for $6, which in todays money is about $150. A nice, safe, and (for the time) relatively powerful handgun with a fast reload for a price that almost anyone could afford made it a hit for the company. In short, they were the Kahr of the 1900s. Some 250,000 First Model Iver Johnson Safety Automatics were made from 1894-96, a significant and brief production life if there ever was one. These guns use a single top latch to hold the revolver together, a simple design which boasts four patent dates listed on the barrel with the last one being ’93. The first run of guns were all designed and built for low-pressure black powder cartridges. On the top of the barrel rib there is a serial number, which usually doesn’t begins with a letter code but sometimes does. Iver Johnson Safety Automatic in .38. 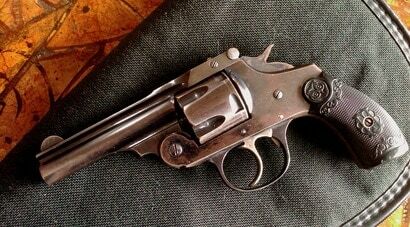 The Second Model was made 1897-1908 and these were (generally) black powder only. They are identified easily due to the fact that they have a double top latch, a patent date that ends in ’96, and serial numbers that start with letters A through F. Some 950,000 of these were produced. It was one of these; serial number 463344 bought for $4.50, that anarchist Leon Czolgosz shot President William McKinley with in 1901. The gun Leon Czolgosz used to shoot President Mckinley. Iver Johnson Safety Automatic, the second hammerless model. Note the pre-Glock trigger safety. A ‘hammerless’ version with a distinctive humpbacked shrouded frame was also made in this version. These Second Model Hammerless variants have a manual safety on the trigger, which makes them easy to spot while Gaston Glock is silent on this trigger design. The Third Model used coil springs rather than the flat springs of the first two models. The serial number ranges don’t go lower than a “G” and all of these guns were beefed up to take smokeless powder rounds. These guns and a corresponding hammerless were produced as late as the start of WWII. 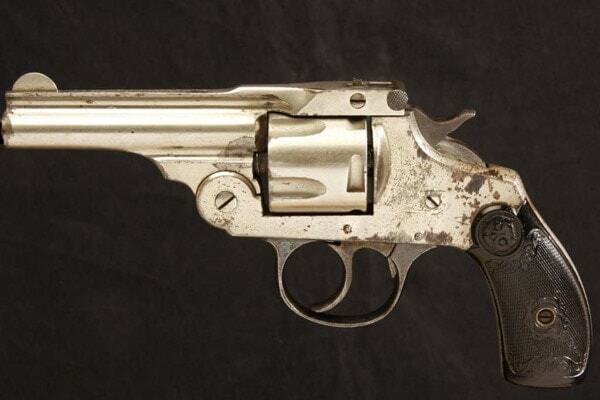 The distinctive monogram on the grips gives these guns the nickname of ‘Owl Head’ revolvers. 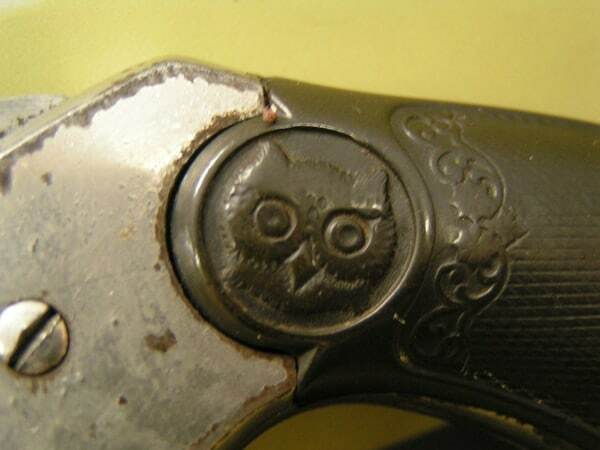 The owl looks at the barrel but it is under these grips that you can find a date letter code that can help identify when your revolver was made. Late Third Model guns are usually found with wooden grips rather than the plastic and, in addition, on the First and Second Model guns, the cylinder freewheels when at rest, while the Third Model does not. These guns were never expensive and today they run anywhere from $25 for guns in nonfunctional condition but otherwise complete, to nice minty Third Models that are still firable for $175. 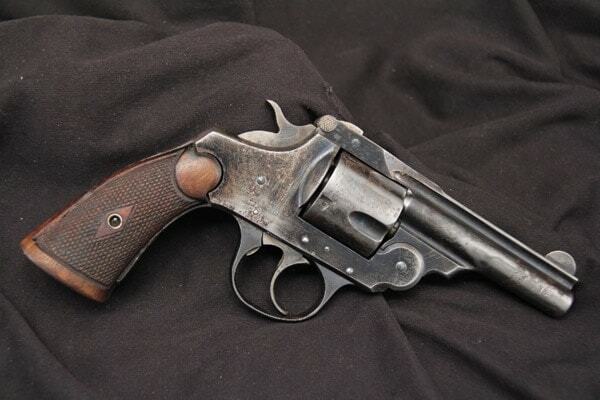 With several dozen varieties of these revolvers made over a fifty year period, they are an easy collectable to get into for very little outlay. The fact that the McKinley gun was one of these models further adds to their mystique. With production dates under 1941, they are all C&R eligible and many First and Second Models are classified as pre-1898 antiques. If you want to buy one of these and shoot it, take a moment of pause. The newest Iver Johnson Safety Auto is still more than sixty years old. Two out of three of these models were never chambered for modern cartridges and all used early steels that are not as strong as today’s metals. At a very minimum, Guns.com suggests you have any potential shooter thoroughly evaluated by a gunsmith skilled in these old revolvers before taking it to trip to the range. Use the proper ammunition the gun was designed for. 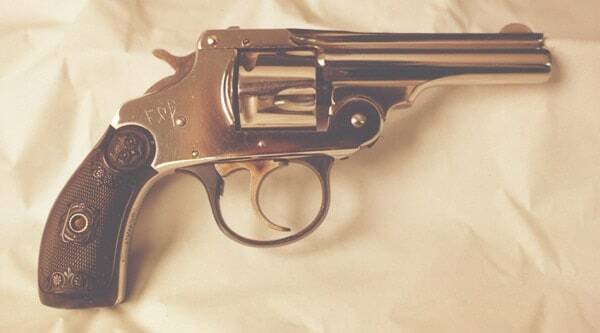 Iver Johnson revolver, third generation model. 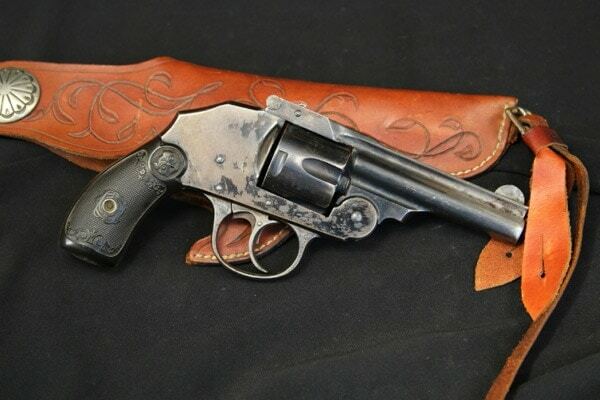 Still, with all that being said, if you have some spare change in your ashtray and are looking to collect a neat old gun, the Iver Johnson may a horse worth betting on.